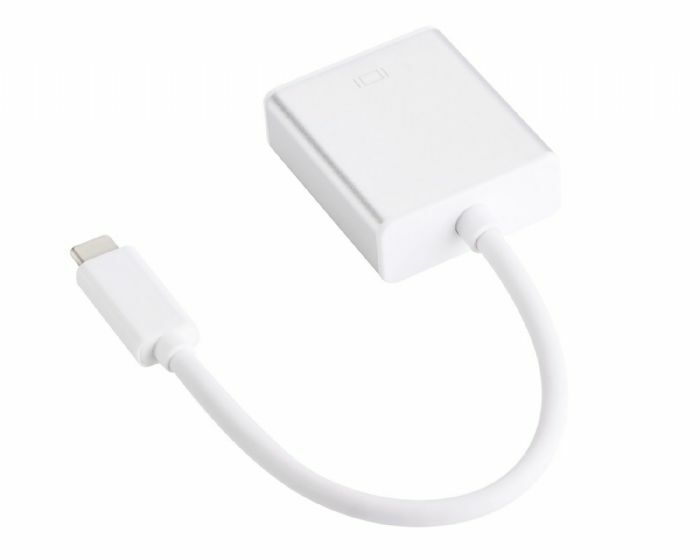 USB-C interface allows to connect with USB-C output device. HDMI interface allows to connect with HDMI display through HDMI cable(sold saperately). 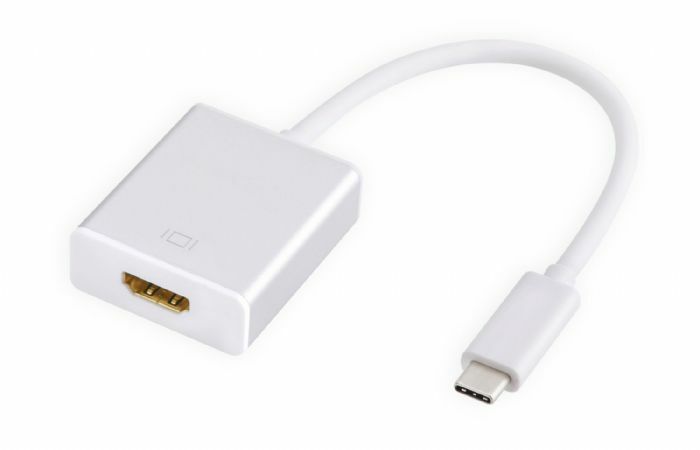 Use this adapter to connect with USB-C female output port of your computer and HDMI female port of HDMI display by HDMI cable(sold seperately), you can enjoy the video and slides without no transsimission lost in a great picture on a large screen. Please Note: It doesn't support any other smart phone and tablet,such as LG G5, HTC 10 ,Acer Alpha Switch 12, zte phone, etc. 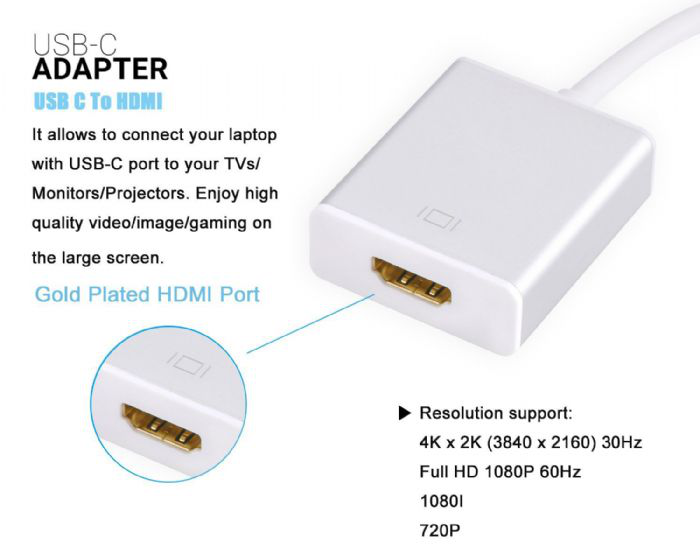 ◆ Resolution Support 4k x2K 30Hz (3160X2480), down compatible with 1080P,1080I,720P. ◆ No need additional driver, just plug and play. ◆ The HDMI cable is required, sold saperately. ◆ The 4K resolution required 4k Source from equipment ,HDMI cable, Output display.